Operation Tailwind was a covert incursion into southeastern Laos by a company-sized element of U.S. Army Special Forces and Montagnard commando (Hatchet Force) of the Military Assistance Command, Vietnam Studies and Observations Group (MACV-SOG or SOG), conducted between 11 September and 13 September 1970 during the Vietnam War (also known as the Second Indochina War). 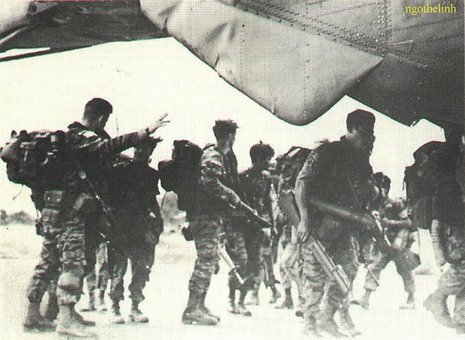 The purpose of the operation was to create a diversion for a Royal Lao Army offensive and to exert pressure on the occupation forces of the People's Army of Vietnam (PAVN). Nearly 30 years later, Peter Arnett narrated a CNN/Time Magazine report produced by April Oliver, Jack Smith, Pam Hill, and others. The "Valley of Death" report claimed sarin nerve gas had been used, and other war crimes had been committed by U.S. forces during Tailwind, kicking off a controversy that ended in retraction of the claim by both news organizations and purging all staff members responsible for it. On June 9th I ordered an investigation into the charges made by CNN and Time about a U.S. military operation called TAILWIND in Laos some 28 years ago. CNN/Time said that the purpose of the mission was to hunt and to kill U.S. defectors, and that the United States used sarin, a lethal nerve gas, during that mission.